Singer, songwriter, and dancer Rimi brings her unique genre of pop with an Indian flavor to the American music scene. Her music, the product of a unique and versatile combination of Eastern and Western upbringing, gives richness to her personality and performances. 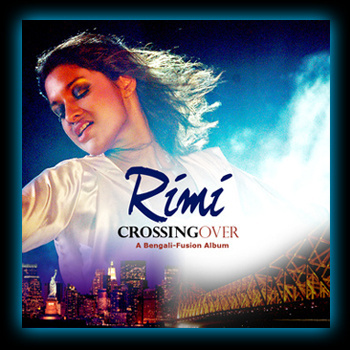 Rimi has performed with several popular artists in india, including Sonu Nigam, famous playback singer, and A.R. Rahman, renowned music composer. She completed her own fusion self-titled pop album, "Rimi," which she first in India. Her dream is to eventually create a place for Indian music in the American pop scene and globally. She has released two additional albums. The "Unveiling" (2008) and "Cross Over" (2011). She is an artist with a very big dream, Rimi brings her unique genre of pop with an Indian flavor to the American music scene. She is a child of first-generation Indian immigrants and born and raised in the Washington, DC area. Rimi has a unique and versatile combination of Eastern and Western upbringing, giving richness to her personality and performances. In her childhood, she took an active interest in Indian culture, beginning her training in Indian classical music and dance from the age of 5. Throughout her academic education, she continued to keep music and dance as a priority in her life, even sacrificing sleep many nights to practice. She received several awards for her pursuit of the arts during college, including Johns Hopkins University Homewood Arts Awards in both music and dance. In pursuit of her dreams, Rimi has made difficult choices. In the fall of 2006, she quit her job as a research assistant in New York City to move to Mumbai, India. After arriving, she lived alone for 10 months while struggling to prove herself and her talent. Rimi also chose to forfeit her acceptance into a prestigious medical program, which was against the wishes of her family. All was done for the sake of music and dance. 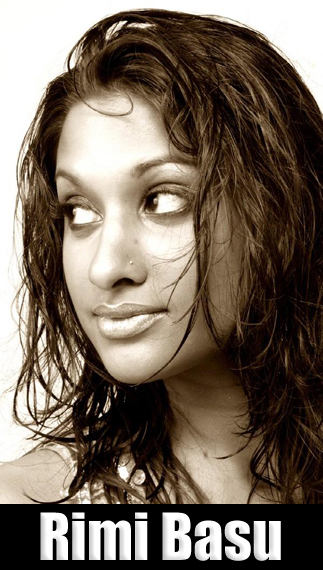 Rimi has performed with several popular artists in india, including Sonu Nigam, famous playback singer, and A.R. Rahman, renowned music composer. She has completed her own fusion self-titled pop album, "Rimi", and will release it first in India. 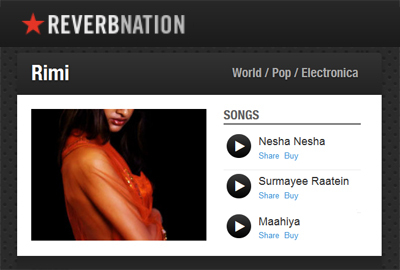 Some of these songs can be heard on Rimi's Reverbnation page. A combination of beauty, brains, and talent, Rimi exemplifies the modern pop diva. Her struggle and dream is to eventually create a place for Indian music in the American pop scene and globally. She is willing to make the necessary sacrifices to see this dream come true. With the eventual world release of her debut album, "Rimi", she hopes to become a trans-national artist. "She might look like a girl next door, but tap her further and a musical genius comes forth. Rimi Basu, who has released her Bangla pop fusion recently talks about her passion for music and dance and how her grooming in Rabindra Sangeet and Nazrul Geeti has helped her evolve as a performer." After leaving medical school and heading to India to pursue her passion in music, she was able to complete and release two music albums and start her own music label in India. She then went to France to do her MBA. She has started an events company and music label in the United States to propagate world music and young artists. Rimi Basu says she hopes to inspire youth to choose non-traditional paths and follow their passion.